In February, Texas announced that the state, along with the Texas Education Service Center Curriculum (TESCCC,) would enact major changes to the controversial curriculum management system dubbed CSCOPE. The system received a litany of complaints from faculty members and parents alike concerning its lack of transparency (parents were allegedly not permitted to review lesson-plans), lack of oversight from the State Board of Education, and for allegedly imposing oppressive working conditions for faculty members. CSCOPE was created so that teachers could frame their year around teaching points required by the state. Lessons, which are written by CSCOPE staff and current and former teachers, can be updated and delivered online, making it more cost-effective than standard textbooks. The system also recently asked students to design a flag for a new socialist nation. To glean greater insight, Glenn Beck invited special guests David Barton and Pat Gray, along with teachers Mary Bowen, Stan Hartzler and Texas State Sen. Dan Patrick to discuss what is truly going on within their state’s education system. Barton explained that CSCOPE is referred to as “instructional material” and not “curriculum,” therefore is not subject to regulation by the State Board of Education. The historian also brought in artifacts of Texas public school curriculum to showcase just how different it is today and to mark, year-by-year, the increasing application of political correctness in lesson plans. Using a chart, Barton documented and mapped out core CSCOPE material, which eliminates national values, Americanism or rather, American exceptionalism, the study of federalism and majority rule (the core of our constitution) along with patriotic symbols like the Liberty Bell. Christopher Columbus, Rosh Hashanah and Christmas are all relegated to the dustbin along with American military history. Equality and a belief in justice is replaced by “fairness” and instruction on American propaganda and imperialism. Disturbingly, Beck and Barton noted that the worst is yet to come. Showcasing a lesson plan for grades 1-3, Barton revealed CSCOPE’s list of “heroes,” which comprises a dozen secular progressives and only three conservatives or political moderates. This Saturday, the Midwest Marxist Conference was held at Northwestern University’s Medill School of Journalism. The event was teeming with teachers who spoke about the new found bond between the radical socialists and their Teachers Union. The all-day event, which collected money to support Chicago Socialists and featured a communist bookstore, provided students on-campus along with the radical left community to plan the next phase in their activism. After the opening plenary, breakout sessions addressed more specific topics like the history of the Democratic party, education, and case studies in Russia. In these sessions, speakers continued to celebrate the use of education as a mechanism to insert Marxism into public institutions. In one session, the idea of targeting their message to students, even over “the working class,” was debated. One teacher, who spoke in an afternoon session, described his tactics to overcome the problem of teachers’ unwillingness to take part in the strike, while Chicago Teachers Union Vice President Jesse Sharkey underscored Barnes’s earlier point when he spoke about the “struggle” of Chicago teachers and the need for additional support from other revolutionary movements. Through a renewed focus on the “strike weapon,” Socialist organizers remarked that they felt their movement had rediscovered its vigor—and the path forward ought to include “mass strikes,” they said. The site features images of the words: “Feminazis,“ ”Marxists,“ ”Socialists,“ ”Communists” among other monikers with red strikethroughs. Citing an independent poll that reveals more and more conservatives are focused on finding a partner who shares the same political and world view, the site promises a “Lib-Free” dating pool. ConservativesOnly.com says it hopes to encourage new members by offering free membership just in time for Valentine’s Day. It might not be a bad idea, especially given that there are few longtime success stories like Carville and Matalin in the world. Natalie Solent asks, “Upon what basis can an Occupy protest ask someone to leave?” As the Marxists say, there are certain internal contradictions to deal with. She offers amusing responses. 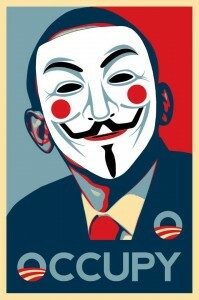 These individuals and groups are truly the Marxists behind the curtain pulling the strings for Occupy Wall Street. If I did not laugh at these idiots, I would have exploded. I do understand idiots are running this country into the crapper, although, I had no idea that the bottom 50% who pay NO taxes, in fact, pay all the taxes. I am confused. The stupid people who vote those into office who make policies that cause the problems, are now demonstrating against those very policies from the people they put into office. Is this the twilight zone? The very people who cause the problems are now demonstrating against those from whom they get their benefits? WTF? Going Galt makes more sense now than ever. My message to the liberal idiots ruining this country, Kiss My Azz! I am tired of YOU! I am tired of working to feed YOU. I am responsible for me and my family, not you and yours. get a job, get a life, and freaking learn some history. You should be ashamed your picture is on this post. You are pathetic, lazy and stupid people. God have mercy on your soul, because I am too worn out working to care what happens to you, AnyMore! America was made great by people at polar opposite of your thinking. I must say, I am ashamed that these type of people call themselves Americans. Shame on Liberals. Shame on the lazy, arrogant and pathetic people who NEED government to take care of them. Shame on the violent, lazy, arrogant, ignorant and stupid communist of America and of the world. At least they did not defecate all over downtown Salisbury like they have all over America and across the world.